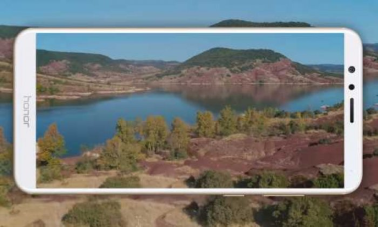 The Huawei Honor 7X came onto the scene during an event titled ‘Max Your View’, this delivers the FullView experience to the more affordable phone sector. In my Huawei Honor 7X review, I take a look at this superb smartphone with a display that delivers on that promise. The Huawei Honor 7X has a beautifully designed aluminium and glass chassis, the curves and feel of the phone give it a premium edge. The back of the phone is curved slightly so it fits nicely in the hand. The display has a Corning gorilla glass cover to keep it looking good. The Huawei Honor 7X weighs in at just 165g and comes in blue, black or gold. 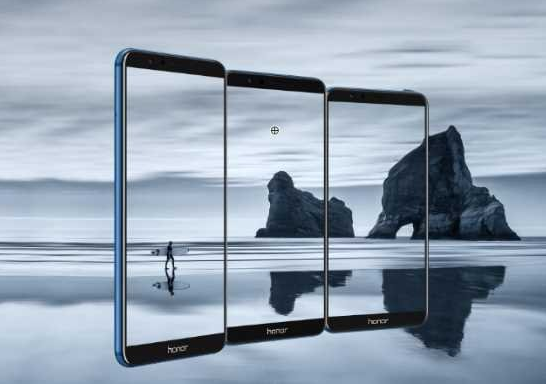 The first thing you notice on the Honor 7X is the superb display, it is a 5.93-inch screen that has been elongated to fill the front of the device. The FullView edge-to-edge display has a 18:9 aspect ratio, this means it has a resolution of 2160 x 1080 pixels. This is called a Full HD+ resolution, giving you 240 more lines of pixels over the usual FHD resolution. This means you see more of a webpage, so you don’t have to scroll around as much, and you get a a cinematic experience on video clips. The fingerprint sensor is located on the back of the phone, the natural position makes it easy to pick up the device and unlock it. The sensor can be used to activate the camera shutter or drag down the notificaiton window. The phone has Android 7.0 on board and this works with the EMUI 5.1 user interface from Huawei. This delivers features such as the One-key split screen function, App Twins and Phone Manager. There is a 2.36GHz octacore processor under the hood as well as 4GB RAM, this translates into an impressive performance whether running multiple apps or demanding high-end games. The phone has a 3,340mAh battery which worked very well to deliver a full day of use, even when running lots of apps and browsing. There is an Ultra Power Saving Mode which will manage background apps and make the most of the remaining battery power when it starts to run low. The Honor 7X has a dual camera on the back, this is a 16-megapixel and 2-megapixel camera package. Portrit Mode and Phase Detection Autofocus capture beautiful images and make it easy for special effects such as bokeh. The 8-megapixel camera on the front includes Gesture Control and bokeh effects, even though it’s not a dual lens the software can blur the background on the selfie for you. Huawei continue to deliver great phones to the market, they may not be using the same processors and cameras as the most popular manufacturers but they do stack up well. The Huawei Honor 7X worked really well, whatever apps or games I was using. The camera was surprisingly good and the selfie results were certainly share-worthy, if you want an affordable phone with some flagship features this would be a good choice.